The continued decline of the diesel market share and the increased provision of total corporate mobility will be two of the key fleet trends for the year ahead. 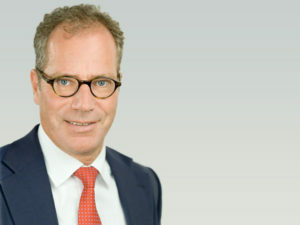 So said Dr Jörg Löffler, CEO of Fleet Logistics as he warned fleets of the need to get the fuel mix right going forwards. Dr Löffler said he believed that demand for diesel would continue to fall throughout the year across Europe and not just the UK. Decline in diesel demand has been most marked in the UK, not least because TCO for diesel cars will rise, as prices of diesel and gasoline are brought into equilibrium at the pumps due to governmental changes in fuel duty. But he warned that the alternative to diesel is far from straightforward. “Gasoline cars burn more fuel and therefore emit more CO2, while hybrid vehicles are fine in an urban environment but out on the open road are far from fuel-efficient and offer no discernible advantage at all. “Getting the right fleet mix of vehicles will become increasingly important going forward, and we urge most major corporates to discuss the situation in detail with their fleet management provider to arrive at the optimum solution,” said Dr Löffler. Fleet Logistics also believes that the issue of total corporate mobility will become increasingly important in the near future, as many companies examine their total transport and mobility needs and expand this beyond the provision of company cars. “To a certain extent we are being pushed by some clients in this area, although with others we have had to adopt a ‘pull’ approach. But there is not a one-size-fits-all solution to this issue,” said Dr Löffler. “Amongst companies, like banks and insurance companies for instance, which are largely based in large cities often with younger, well-educated employees with different attitudes towards family life, a policy of providing a car for 365 days of the year might not be appropriate. “They may want the use of public transport paid for by the company for most of the time, but with access to a company vehicle at certain times. Pool cars may be a more obvious solution in that event and in the long-run car-sharing and other mobility offerings. “However, with manufacturing companies, for example, which are often based in rural areas, the provision of company vehicles for different parts of the work force, such as service and sales, may still be the most appropriate solution. “As part of our new business strategy, we are starting to see ourselves very much as a mobility enabler in this market, rather than simply a provider of fleet management services, and are happy to engage with any of our clients to help them arrive at the correct mobility solution for their business,” he added. Another key trend for 2018 looks likely to be the continued growth in recharging points for electric and hybrid-electric vehicles with more players entering the arena. Dr Löffler pointed to the recent initiative by oil giant Shell together with major German car manufacturers as evidence of the rapid speed of change within the European charging infrastructure. “We believe we will continue to see rapid development of the European recharging arena with a number of different players entering the market. This latest initiative from Shell reflects that many of the oil companies are preparing for a new business model,” said Dr Löffler. Looking ahead to the company’s own plans, Fleet Logistics also said 2018 would see a year of consolidation following concentrated work on improvements in IT systems, processes and organisational structure during 2017, as well as expansion into a number of new countries within existing areas of operations. However, one of Fleet Logistics’ key initiatives for 2018 will be the creation of an innovation board with interested fleet customers to discuss the latest trends in the fleet marketplace and identify possible solutions. The first event will be held this spring at a venue in the north of Germany.